On the Friday 16 November, XL Recordings / Remote Control Records will release Spoken By The Other, the first EP by Powell Tillmans. It’s a collection of recordings from two of the most interesting artists in Europe, and one whose short length belies its radical tenderness, sonic language and political ambition. The first part of the partnership is Oscar Powell, the London-based electronic musician. 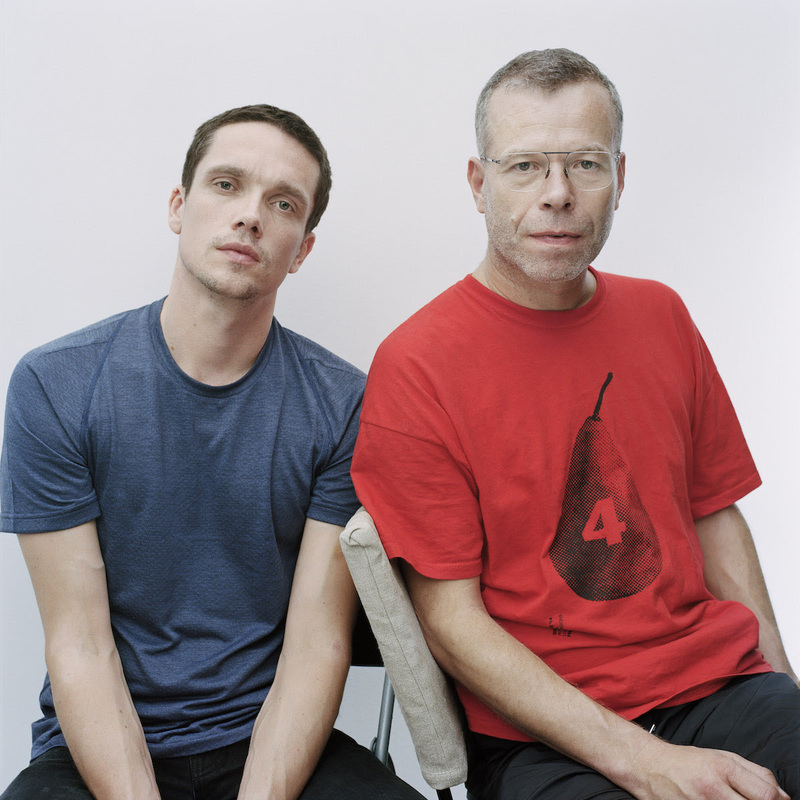 The second isWolfgang Tillmans, the Turner Prize-winning fine artist and musician who lives between Berlin and London. After 25 years away from music-making, Tillmans began releasing his own vocal-led electronic tracks in 2016, with a series of EPs and collaborative visual mini-albums, with one track closing Frank Ocean’s Endless album. Powell, meanwhile, has been releasing music since 2011, on his own label Diagonal and XL, drawing from the history of machine music to create a bold new language. They met at the Tate Modern, where Tillmans was programming a series of performances to coincide with his 2017 exhibition. Quickly the conversation turned to talk of a full collaboration, and following Tillmans’s video for Powell’s track Freezer, over the summer they got into the studio to begin making music. Recording took place in Berlin, London and Turin, with Tillmans’s vocals working in tandem with Powell’s synthetic processes. Rather than a simple producer-vocalist arrangement, explains Powell,“Wolfgang’s voice and my sounds drive toward some sort of shape or feeling together.” These tracked were workshopped live at European festivals Atonal and Club2Club in the second half of 2017, and with no small number of emails and voice files exchanged, these ideas evolved into the final EP this year. Across the record’s six tracks, Tillmans’s vocals drive and weave through the music. The lyrics serve as both poetically abstract snapshots like “All surfaces and all reflections,” on ‘Doucement’, and direct invocations to the listener, like “Lose your pride!” on ‘Feel the Night’. Across the EP, Powell’s sounds are at once sharply focused and beautifully free. Each track represents another venture into the possibilities of computer music: composed with modular synthesizers and digital signal processing applications, these are etudes that glitter, shift and shimmer as they find themselves. ‘Feel the Night’ uses a flickering pair of notes and Tillmans’s treated voice to slowly build an anthem. ‘Tone Me’ – which Tillmans says is a semi-affectionate send-up of gym culture – plays with how low a bassline can go, a melody sketched above.‘Doucement’ (“slowly” in French) is an electro acoustic tone-poem. ‘Rebuilding the Future’ swings, even as it journeys into static. On ‘445’, a dinner party turns into a dazzling piece of music concrete. This is the sound of two artists pushing each other towards, well, freedom. Freedom to move. Freedom to play. Freedom to change. Freedom to be soft. Spoken By The Other will be available across digital platforms, as well a Single Pressing Limited Edition 12” vinyl.